Microsoft cuts Windows Vista retail edition selling price by up to hefty 48% in order to persuade customers to upgrade to Windows Vista. The new cheaper price of Windows Vista retail box version is applicable to both full version and upgrade version of Windows Vista, which used to upgrade install an old Windows operating system such as Windows XP to Windows Vista. Only retail Windows Vista price is adjusted downward, with OEM version pricing stays the same, but who knows anyway, and price of OEM version when comparison with retail price has already considerably cheaper. 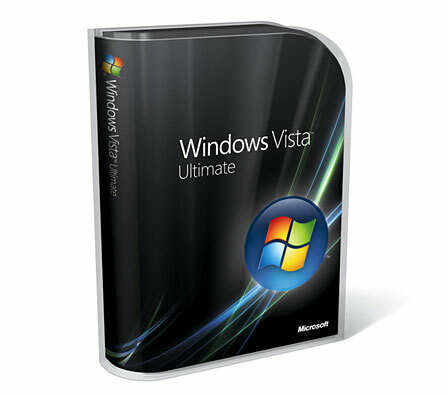 In US, the selling price in US for retail boxed version of top range full version Windows Vista Ultimate edition has been dropped from $399 to $319, $80 reduction or 20% off, while Windows Vista Ultimate upgrade version drops to $219 from $259, $40 or 15% lower. Windows Vista Home Premium upgrade version also has it price cut from $159 to $129, $30 or 19% drop. The new pricing of Windows Vista for other countries worldwide is expected to be announced by Microsoft soon. Although the price of Windows Vista has been reduced in US, the retail price is still more expensive than retail price in China, and the rate of reduction is still much lower than what happened in China, which has been reduced more than 50% in China last year, thanks to pirates.